A man has gone on a stabbing spree in the French capital of Paris, injuring at least seven people including two British tourists, according to officials. A motive for the attack was not immediately known. 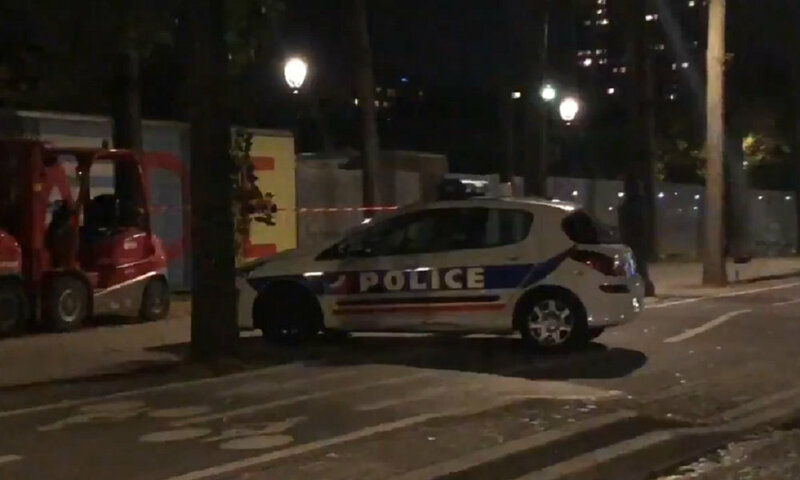 The incident happened at about 11 p.m. on Sunday when a man attacked people with a knife and iron bar in front of the MK2 cinema on Quai de la Loire, a street in northeast Paris. It’s an area frequented by party-goers. BFM TV reported that three people – two men and a woman – were injured in front of the cinema. A man who was playing pétanque and saw the attack threw a ball on the suspect, causing him to flee. A short time later, two British tourists were stabbed on Rue Henri Noguères, a nearby street, before the suspect was taken into custody by officers from the anti-crime brigade. A total of seven people were injured, including four people who were reported to be in critical condition. The suspect was also injured and was said to be unconscious. The AFP news agency reported that the suspect is a man from Afghanistan who targeted strangers in the street. It added that, according to a source close to the investigation, there is no indication of a link to terrorism.